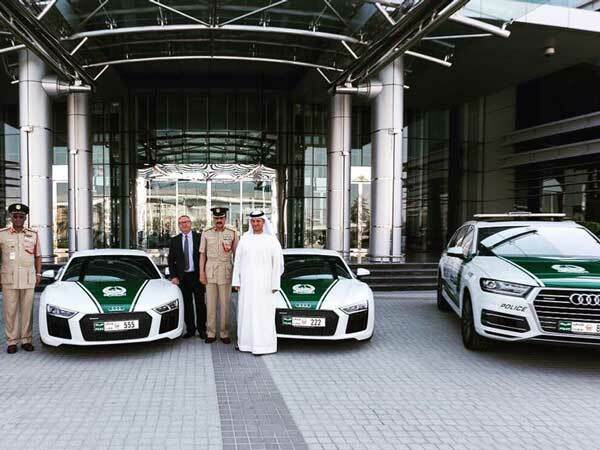 Four Audi Q7s and two Audi R8 super cars have joined Dubai Police super fleet of patrol cars. The new Audi R8 is the most powerful and fastest production Audi ever built. The 5.2 litre V10 enables great performance and fuel economy has been improved by up to 13 percent in the R8 model series compared to the previous model. The Audi Q7 offers luxurious comfort and offers up to 27 percent less fuel consumption than its predecessor.